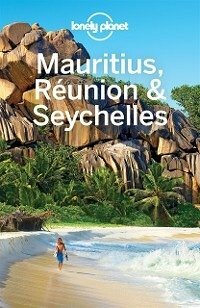 Lonely Planet: The world's leading travel guide publisher Lonely Planet Mauritius, Reunion & Seychelles is your passport to all the most relevant and up-to-date advice on what to see, what to skip, and what hidden discoveries await you. Dive off the coast of Mauritius, get a sweat up hiking through the dramatic mountains of Reunion, or laze on idyllic beach in the Seychelles; all with your trusted travel companion. Get to the heart of Mauritius, Reunion and Seychelles and begin your journey now! Inside Lonely Planet's Mauritius, Reunion & Seychelles Travel Guide: Colour maps and images throughout Highlights and itineraries show you the simplest way to tailor your trip to your own personal needs and interests Insider tips save you time and money, and help you get around like a local, avoiding crowds and trouble spots Essential info at your fingertips - including hours of operation, phone numbers, websites, transit tips, and prices Honest reviews for all budgets - including eating, sleeping, sight-seeing, going out, shopping, and hidden gems that most guidebooks miss Cultural insights give you a richer and more rewarding travel experience - including history, peoples, religion, arts, architecture, environment, wildlife and cuisine Coverage of Mauritius, Rodrigues, Reunion, Seychelles, and more Authors: Written and researched by Lonely Planet. About Lonely Planet: Started in 1973, Lonely Planet has become the world's leading travel guide publisher with guidebooks to every destination on the planet, as well as an award-winning website, a suite of mobile and digital travel products, and a dedicated traveller community. Lonely Planet's mission is to enable curious travellers to experience the world and to truly get to the heart of the places they find themselves in. TripAdvisor Travelers' Choice Awards 2012 and 2013 winner in Favorite Travel Guide category 'Lonely Planet guides are, quite simply, like no other.' - The New York Times 'Lonely Planet. It's on everyone's bookshelves; it's in every traveller's hands. It's on mobile phones. It's on the Internet. It's everywhere, and it's telling entire generations of people how to travel the world.' -Fairfax Media (Australia) Important Notice: The digital edition of this book may not contain all of the images found in the physical edition.